A bit belated I know, but I thought I would show you guys some of my road trip photo's from our trip that we took last August/September. This is something that we totally hadn't planned to do and it was definitely pretty last minute, but that's kind of what made it even more exciting and I'm going to talk you guys through how we did it and where we went. I think it was June last year that we started looking at flights to America, we weren't entirely sure where abouts we wanted to go but had a few places in mind, one being New Orleans. So whilst trawling through Sky Scanner we noticed that the flights were coming out at £1000 plus per person which we definitely didn't want to pay. 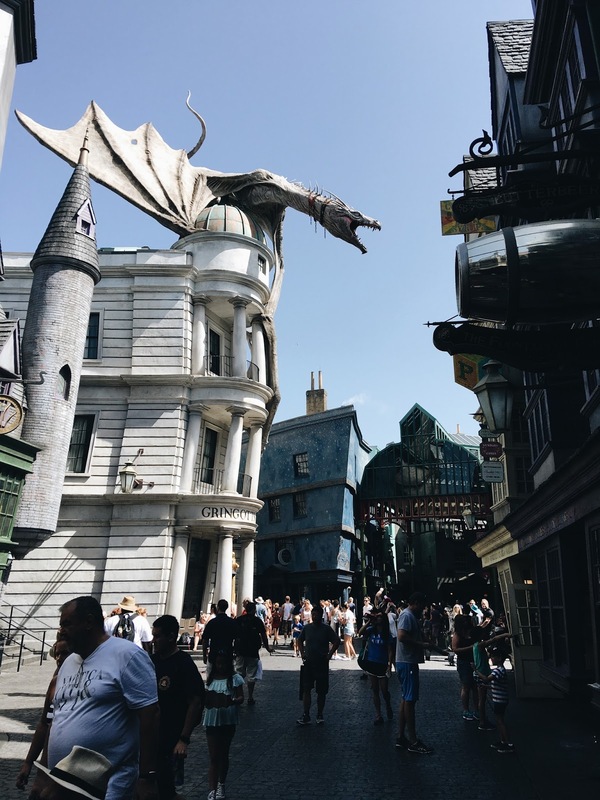 So naturally I was like, lets check Orlando... because it is my favourite place in the world and we could fit a sneaky Universal visit in too. We found flights for around £370 return with Norwegian Airlines, which was WAY more in our price range and too good to miss out on, so we booked there and then. Norwegian were amazing to fly with, just as good as Virgin if not better, so I would definitely recommend them to anyone checking flights to America. Then, we discovered, that one of our favourite country singers was going to be playing in Florida 3 days after we arrived, so naturally we purchased tickets and realised that said trip must have been fate. Wand shopping in Olivanders, the best $120 spent. 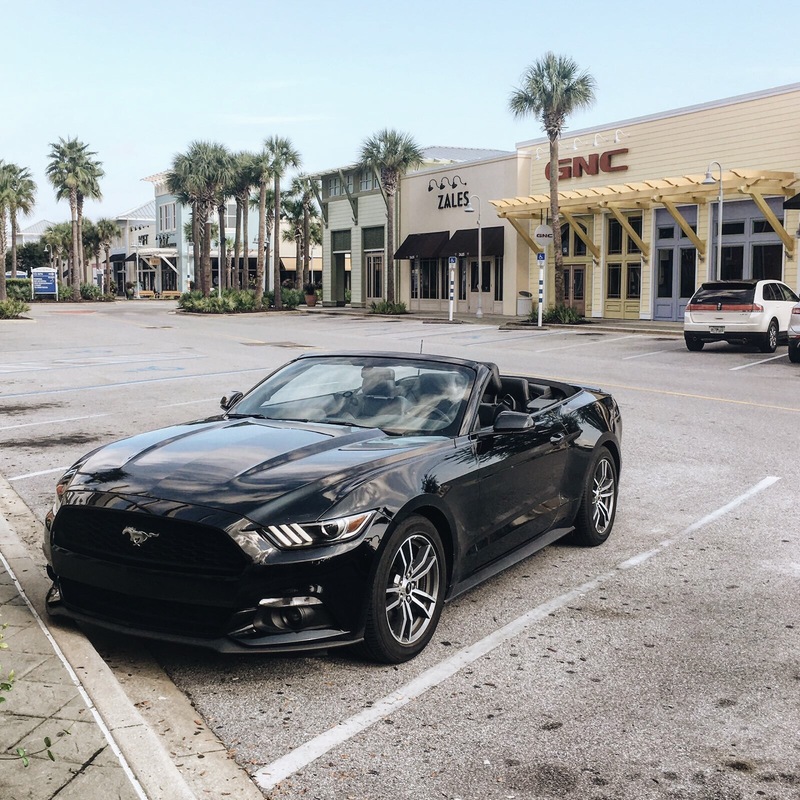 We picked up our convertible Mustang because, well it had to be didn't it?! It cost us around £500 for the two weeks via Alamo and it also came with an amazing sat nav phone which also doubled up as a hotspot (lifesaver but this cost a little extra). It was the best thing we did and added that extra bit of luxury to the trip and so much fun to drive too. We had 2 days in Orlando, both of those spent in Universal Orlando Resort of course. I found cheap but decent hotels via Booking.com (which is all I did all holiday as we were going along. We didn't plan any hotels before hand except this one and the next hotel in Panama City due to it being busy with the country music festival on). 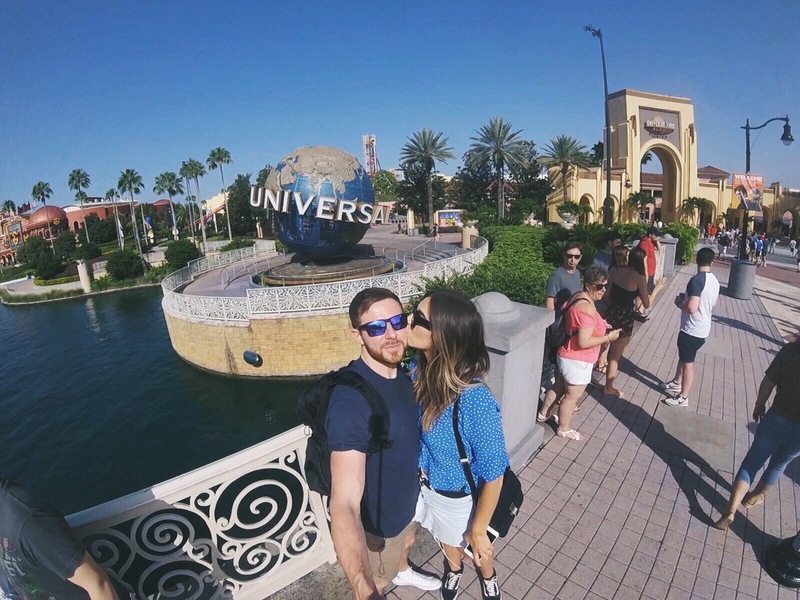 We purchased our tickets from orlandoattractiontickets.com which are my favourite website, they always come up cheapest. We decided to give Disney a miss due to the time limit but to be honest Universal is the main one I like to visit. 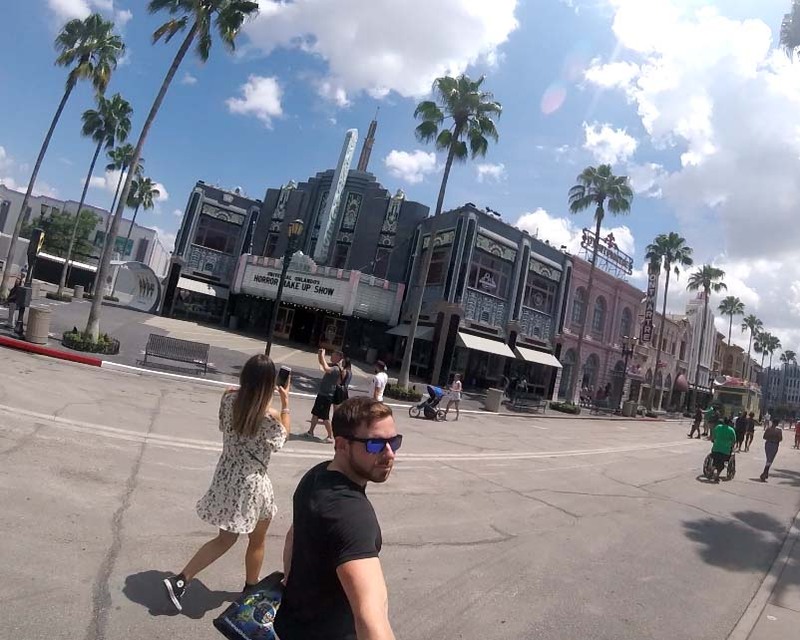 We did Disney Springs too which is a great free place to go and wander round and visit some amazing shops and restaurants too. Then it was up at 4am for a 4 hour drive (I think it was) to Panama City, Florida. I had never been or even heard of this place before but I totally fell in love with it. The beaches were beautiful, it was SO hot (about 38 degrees) and we stayed right by a cute little place called Pier Park, which consisted of beautiful and brightly coloured shops and restaurants. We had a 3 day country festival pass and 3 of our favourite singers were playing, so we were in our element. The one person we wanted to see, Jason Aldean, actually got rained off after a 10 hour wait and 10 minute set so that was a little bit of a bummer (as was walking to the hotel for 30 minutes in the most biblical rain and thunderstorm I've ever witnessed) but the festival was one of the best things I've ever been to. It was intimate, super friendly and 100% American. And it was around $100 for the whole three days so it was amazing value too. 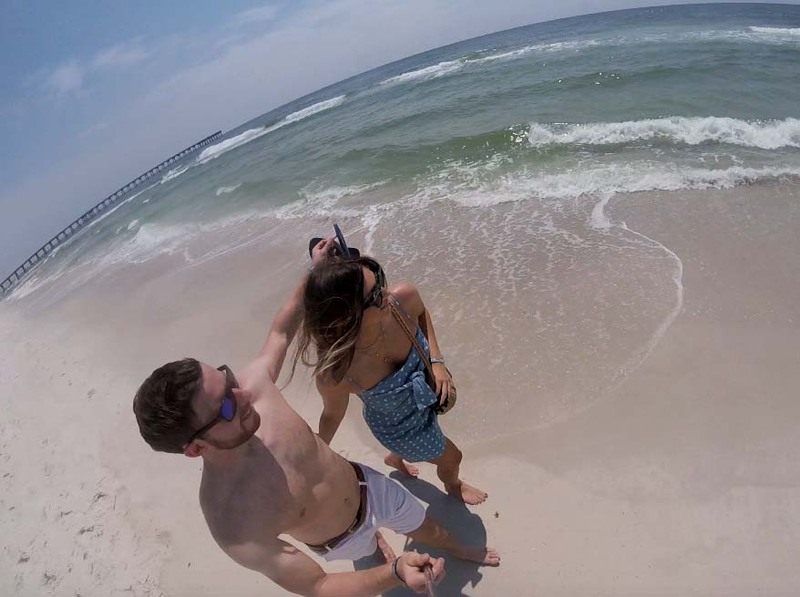 We would both definitely visit Panama City again. I mean, look at that sea? We had plenty of burritos, nachos and beers and it was a nice place to just wander round and relax after a few crazy days in Orlando. It was actually so hot the first day here that we couldn't even have the roof down on our car. After 4 days here, it was on to the next one: Nashville. My Nashville post will be on shortly as I don't want to bombard you with text/photos so keep an eye out for part 2 of the road trip chronicles!